Very quick and good stock. 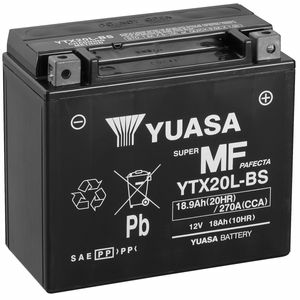 A bit confused when I put in my bike and a cheap battery came up, which would not have had enough cranking amps. Just ordered what was on bike. Excelent service. Even though battery was out of stock I still recieved it within 3 days. I had to make up copper spacers and use longer bolts to get battery to fit my bike.